Corresponding author: All reprint requests and other correspondence should be sent to John Kotulak. 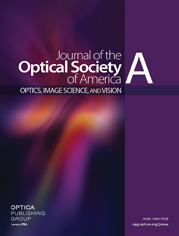 We studied instrument myopia as an overall effect consisting of interactions among the observer’s accommodation and resolution during instrument viewing and the manner in which the instrument is focused. Previous investigations of instrument myopia generally have been limited to only one of these variables. Our results are consistent with the dark-focus-bias theory of accommodation, which holds that accommodation tends to seek its resting point, or dark focus, whether or not the observer is viewing through an optical instrument. The amount of accommodation measured during instrument viewing was found to be dependent on instrument design features that modulate the bias of accommodation for the dark focus.